Easiest Instruments For Young Children – The Guiro! The guiro is a perfect “first instrument” to share with young children. It’s incredibly simple and versatile at the same time. In a matter of minutes, a child can be exploring the sounds created by the guiro and making rhythms by rubbing the rasp back and forth or up and down along the surface of the guiro. Although you can find similar instruments all over the world, a guiro is an instrument with Latin American roots that was originally made from wood, bone or gourds carved to have a ridged surface. 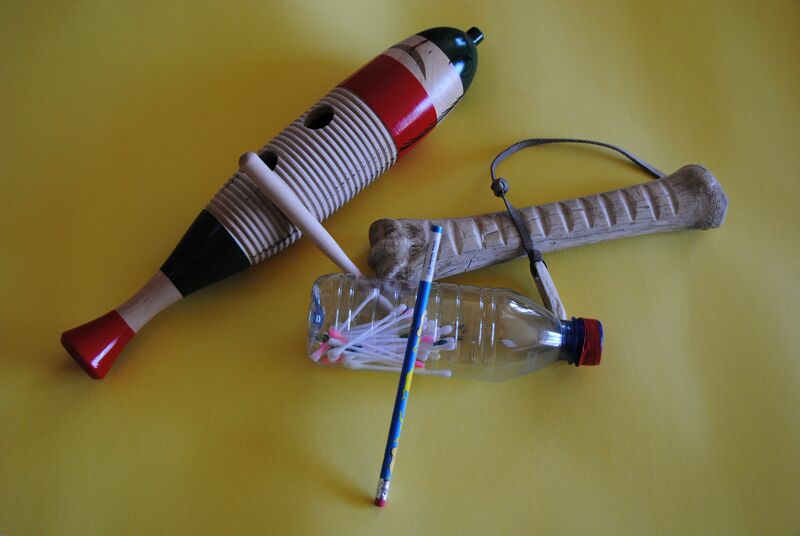 In the picture above you can see a bone guiro from Mexico, a wooden version and a homemade guiro made from a recycled plastic water bottle. Some modern guiros are made of plastic or metal as well. To play a guiro you rub an object across the ridges on the surface of your instrument. Older guiros often have sharp metal rasps so it can be useful to substitute more child-safe choices. Here are some fun ways to create sound on a guiro. 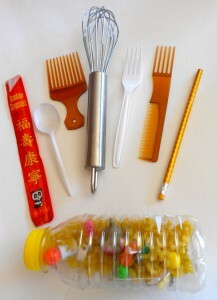 They include hair picks, plastic spoons/forks/sporks, chopsticks, an egg whisk or an unsharpened pencil. Each will create a slightly different sound when used to play the guiro. Since it’s unlikely that you have the perfect dried gourd or an old bone lying around your house, start this musical craft in your recycling bin. Sort through the plastic bottles to see if you have one that has ridges and is sturdy enough to use in this project. 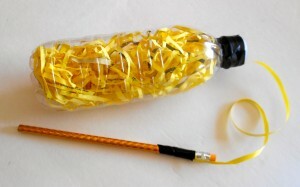 Although your plastic bottle guiro is ready to play “as is”, you can also add some decoration inside the bottle and seal it up before you begin to play. You can look for things like confetti or colorful paper shreds. Or you can choose to add objects that will make the bottle work as a rattle as well. To make a guiro that doubles as a rattle, add a small amount of any on-hand material such as bird seed, beads, pebbles or dried beans, rice or pasta. You’ve probably already figured this out! The guiro is played by scraping back and forth or up and down along the ridges. 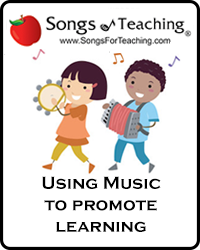 You can put on some of your favorite music and let your child experiment with what sounds good to them. 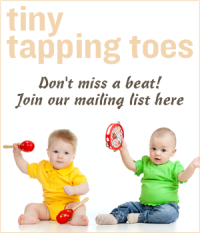 Or you can learn some basic rhythms together with your child. Here are some fun ways to begin. Try playing along with a whole song by just scraping down or by just scraping up. Try playing along with a song by scraping: down/up, down/up, down/up. Discover the patterns that sound good to your ear or write a new song to go along with a rhythm you’ve just discovered. If you start with this simple and clever little instrument, there’s no telling how much creative musical fun you can have! 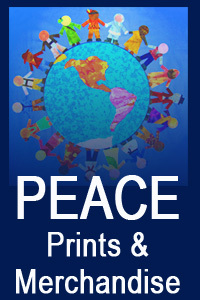 This entry was posted in Early Learning With Music, Family Fun, Multicultural Music, Simple Instruments, Uncategorized and tagged children and music, children’s musical instruments, Daria, Easiest Instruments For Children, Easy Instruments kids, Green crafts, green crafts for kids, Guiro, kids and music, kids music, kids musical crafts, Latin American instruments, Music for children, music for toddlers, musical crafts, playing music with young children, preschool music, preschool musical crafts, singing to children, toddler music, unusual percussion, world music with daria, young children and music. Bookmark the permalink.